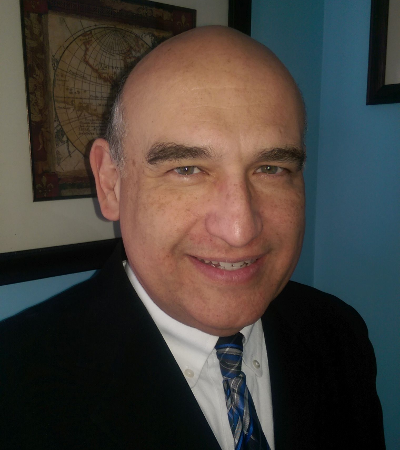 Attorney Ruben D. Sanmiguel was born in Hinsdale, IL and grew up in Arlington Heights, IL. His education includes a BA in History (1982) and a Law degree (1990) from Loyola University of Chicago. Ruben Sanmiguel began his legal career as an attorney with the Office of the Cook County Public Defender in 1991. In 2002 Ruben established his private law practice, the Law Offices of Ruben Sanmiguel. He has experience in every aspect of criminal law having worked in many county courthouses. Ruben has experience in every type of criminal case. Ruben tried hundreds of contested hearings, bench trials and jury trials. He fully advises his clients on their rights and options in the courtroom. He assists clients with driver's license reinstatement and Formal Hearings with the Secretary of State. Ruben Sanmiguel also helps injured clients pursue Personal Injury claims. Ruben has counseled clients in Bankruptcy and represents Buyers and Sellers in real estate contract negotiations and closings. He is a member of the Illinois Bar Association and the DuPage County Bar Association. Before becoming an attorney, Ruben served as an officer in the U.S. Navy (1982-2002). His military career began onboard the aircraft carrier, USS Kitty Hawk, CV-63(1984-1986) where he qualified as an Officer of the Deck and a Surface Warfare Officer. LCDR Sanmiguel returned to Illinois to serve in the Navy Reserve at NAS Glenview and Fort Sheridan. He served tours in the Pentagon; in the United Kingdom, and the U.S. Embassies in Costa Rica, Peru and Barbados. LCDR Sanmiguel's Navy career is highlighted in the Log Records of the Navy. Ruben's military awards include; Junior Officer of the Year (1992), The Joint Service Achievement Medal (2000), and The Navy Achievement Award (2002). LCDR Sanmiguel volunteers as a Blue and Gold Officer; helping students apply to attend the U.S. Naval Academy.